We are glad to inform you that since 11 April 2019 LENTERA HUKUM has been registered as the nationally accredited journal. The Journal is now included in the list of the Science and Technology Index (SINTA), click here. According to the assessment, the Journal has graded 63.71 so that it is categorised in the SINTA 3 level. Further information can be accessed through this permalink. 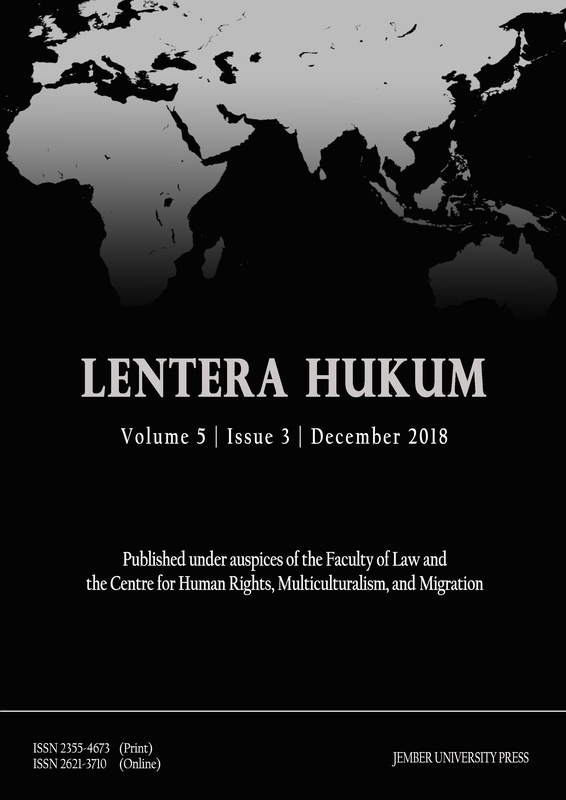 LENTERA HUKUM is a triannual peer-reviewed open access academic journal which is dedicated to publishing high-quality scholarly works on all disciplines of law, including cross-disciplinary legal studies. The objective of the Journal is to provide a leading forum for the enhancement of communication between researchers and policymakers on the recent development of law. It accommodates important critiques of legislative outputs, policies, tribunal cases, institutions, and negotiations and contribute modestly to promote the development of the newly cultivated research fields related to legal issues.